For the month of January we were busy welcoming the New Year by trying new things. One of those things is a new healthy treats sent to us by Chewy.com from Natural Balance. Natural Balance offers two varieties in a line called Wild Pursuit Lung Bites; Lamb and Venison. Venus has been trying their Wild Pursuit High Protein Lamb Lung Bites, which are made from 100% natural New Zealand Dehydrated Lamb Lung without the addition of any artificial flavors, colors, or preservatives. They are nearly as natural as you can get without feeding completely raw meat to your lucky pup! 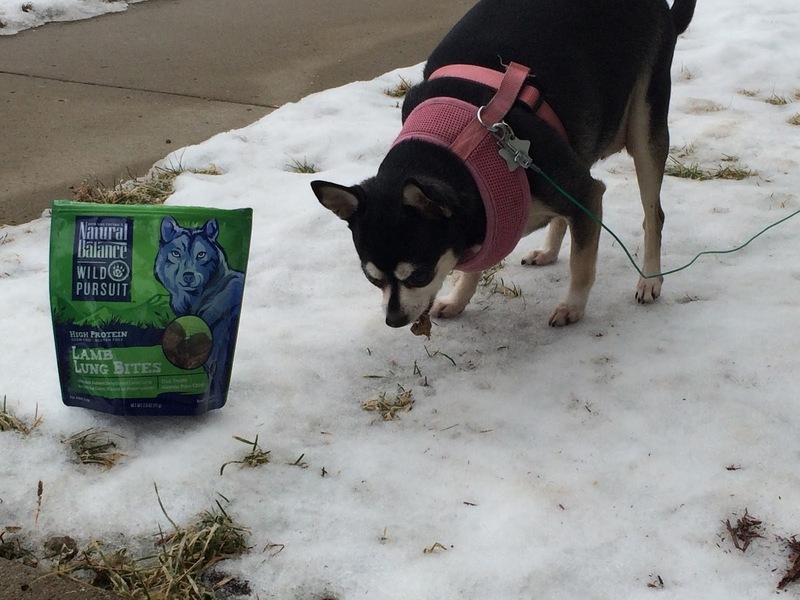 These treat are both grain and gluten free, are high in protein, contain less than 8 calories per piece, break up easily for smaller dogs, and are made right here in the United States. 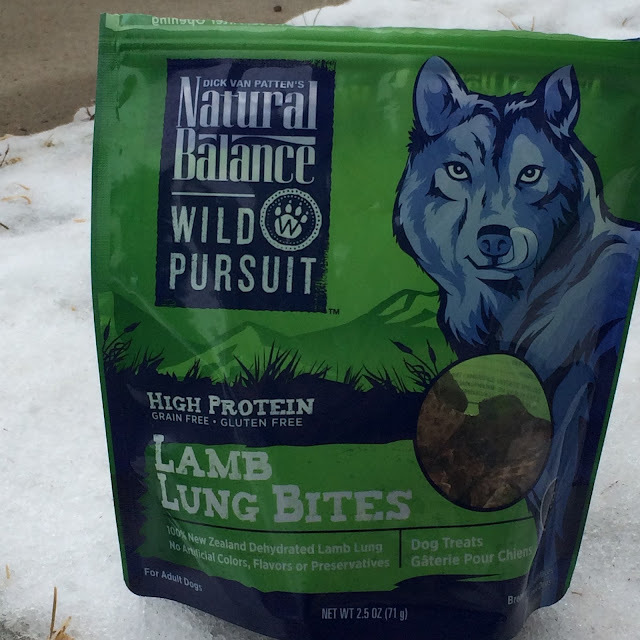 Venus loves the Natural Balance Wild Pursuit Lamb Lung Bites. 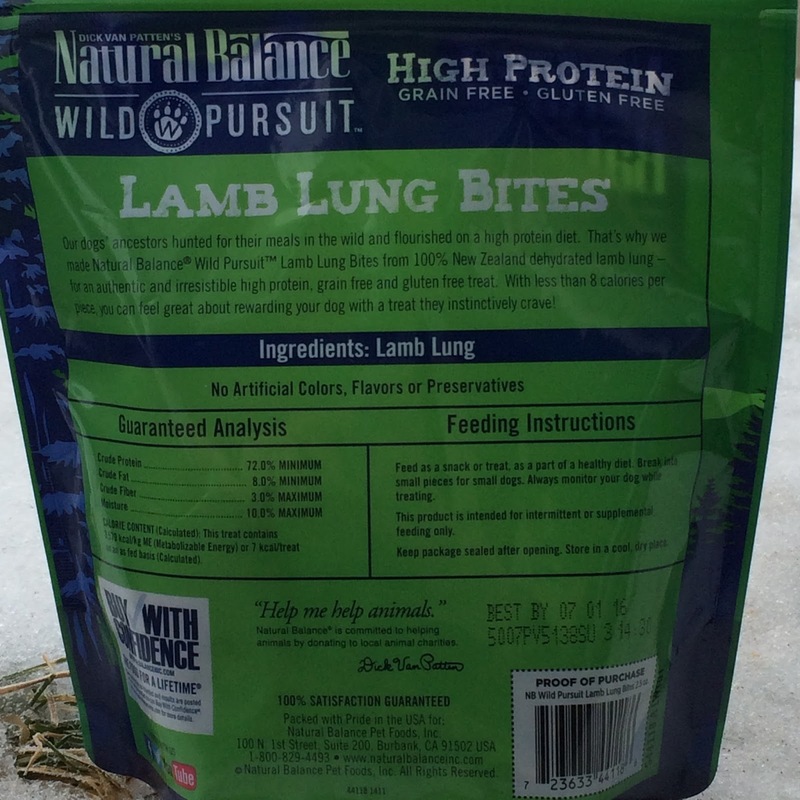 They are a natural, practically raw, healthy treat that I feel confident feeding her. You can find them at Chewy, along with other Natural Balance pet treats and food.